LOL. I should have written "Is Vegas 15 now fully supportive of the GPU in the PC?". Alas, before I was rather dismayed to find out that the Vegas software did not use the GPU at all - at least for rendering. Despite some references to it on the Sony Vegas website back in the days (4-5 years ago). Missing CUDA drivers/support or whatever. But they still have the "use cuda/open CL" in the render menu despite it apparently doing nothing. Alas, I forked out like 200 euro for the 13+14 package last year. And now they are a making a fuzz about the GPU and QSV engines (or whatever it's called). So I guess I'm after a confirmation that Vegas 15 indeed gives a significant performance upgrade on the same hardware versus CPU only. I can't say I am very happy about the upgrade price either. It's 200 euro for Vegas Pro, the same as I shelled out for Vegas 14 last year. Its basically buying it again. It should have been more like 50 bucks for an upgrade in my view. The GPU and CPU (especially QSV) situation in Vegas Pro is complicated. In short: AMD was favoured up to Vegas 14. Now Nvidia is (temporarily) favoured in Vegas 15. Best is to download the trial and test it. Note that the GPU counts for both timeline playback and rendering. 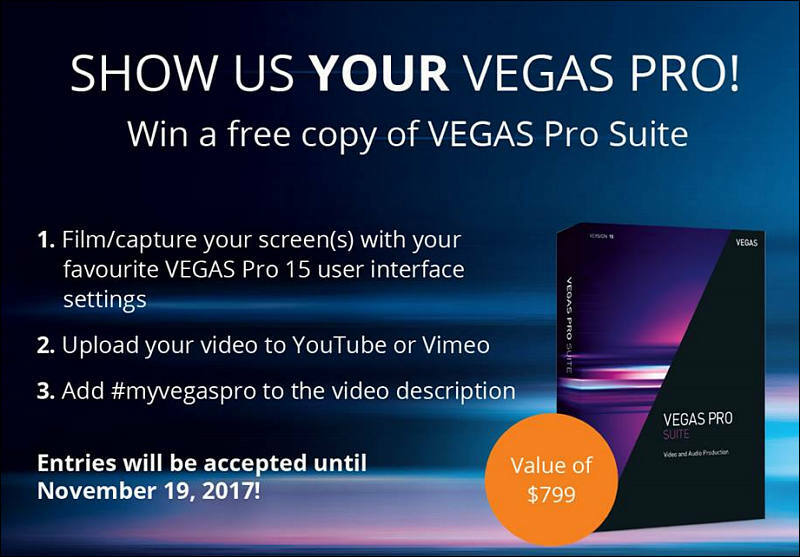 Best price lately for upgrade was $149 for Vegas Pro EDIT version. If you got a new install for $200, then you got a good deal. First, they had sale recently. Second, on your place I'll focus on NVidia 1xxxx cards. They'll be adding video decoding and encoding acceleration for them. Btw you can post any of questions here, we plan to do some long interview with developers. Can you be more specific? 4K file format, filters tc? Also can you add that you want from coloring side? By idea H.264 playback without heavy filters must be better in Vegas compared to Resolve Free, as QS is not artificially throttled. Vk I’m talking prores files, I use studio version of resolve . With coloring,just the ability to better isolate specific colors ,with pickers ,and do mutiple things to the isolated colors. Resolve has this “mids” tab that I love ,it usually good for soften skin tones or sharpening them . I look forward to the interviews. I am a long term Vegas user and plan to continue to be. I am more active on the Vegas forum than here. FYI, I think you will find that Vegas 15 added a lot of Nvidia support that was previously missing and now they are working on adding the same kind of hardware acceleration for AMD cards - but they have not done this yet (V15, build 261). @Sammy Prores is not a great intermediate for Vegas, so if you don't HAVE to use it, I would suggest cineform, or Xavc-intra, or MagicYUV. I can play back cineform 4k files smoothly on a 7 year old pc. For cc, there are lots of third party plug-in choices. Not quite as good as resolve, but for 90% of users, will do nicely. Rendering is much faster now with a Pascal Nvidia card. Preview still need to be smoother than it is now. Talking about 4K mp4/mov files. Once you add some FX filters, it starts lagging. Once you add some FX filters, it starts lagging. What filters are affecting smoothness most? And what ones you think are easy to improve? One thing I feel is seriously missing in Vegas is some sort of automatic lens correction profiles for some common cameras like GoPro. I.e. an automatic lens profile setting for de-warping/correcting the fisheye effect on Gopro. This can be found in Gopros own software as well as Adobe Premiere (which seems to be used by the GoPro media team). @MarcioK INSANE DEAL!!! 20 dollars via paypal got the entire lot, confirmed. I just designated Magix as the recipient for 100% of the proceeds. Also suggest to get another bundle with Photo & Graphics Designer + Music mater and Photo Story. The sold total 163k bundles. Not bad for Vegas, really wish new users to help them.